The ritual of Seven Vows/Saat Phere is one of the rituals having great significance. The seven vows made during Saat Phere or seven steps make the bond of marriage immortal. All these vows and steps have their own ritual significance and meant to invoke a great future ahead. For instance, first round of the seven steps is a prayer to God for bringing a plenty of nutritious and healthy food. Likewise all the steps have their own ritual significance. An Indian marriage is a symbol of purity, union of two different people, community and culture. All the Hindu marriages carry out similar rituals with slight difference. Each ritual that is carried out in a Hindu wedding has some meaning. The Seven Vows/Saat Phere also hold a vast meaning in the wedding ritual. The Seven Vows/Saat Phere are the rounds taken around the holy fire place by the bride and groom together. With every round they make one promise to their partner. This way they make seven promises. 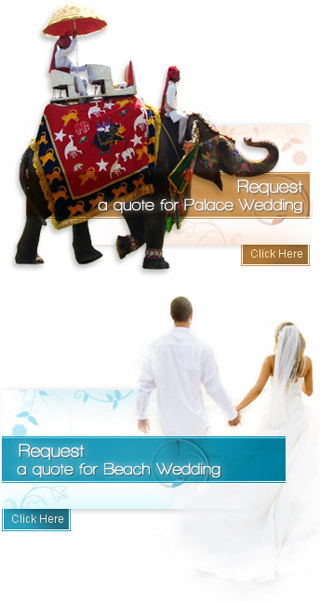 The custom of Seven Vows/Saat Phere has had a rich historical extravaganza to it. There are a total seven vows made during the Saat Phere - the seven rounds. In the first round or phera, the couple prays to God for plenty of nourishing and pure food. They pray to God to let them walk together so that they will get food. In the second round, the couple prays to God for a healthy and prosperous life. They ask for the physical, spiritual and mental health from God. In the third Phera the couple prays to God for wealth. They ask God for the strength for both of them so that they can share the happiness and pain together. Also, they pray so that they can walk together to get wealth. In the fourth round the couple prays to God for the increase in love and respect for each other and their respective families. The bride and groom together pray for the beautiful, heroic and noble children from God in the fifth step. In the sixth holy round around the fire, the couple asks for the peaceful long life with each other. In the final seventh round the couple prays to god for companionship, togetherness, loyalty and understanding between themselves. They ask God to make them friends and give the maturity to carry out the friendship for lifetime. The husband says to his new wife that now they have become friends after the Seven Vows/Saat Phere and they will not break their friendship in life. The fire place at the centre is considered as the holy and pure place. In every Hindu Marriage Seven Vows/Saat Phere are made by the bride and the groom. Theses vows were made in ancient times and they still hold a major importance in the marriage.